Tickets can be purchased directly at the sites. We did not have to wait long. Lisbon has lots of hills and cobblestone streets. Because of this, we opted to leave the stroller at home and carry our son instead. Try to visit the Castelo de São Jorge in the late afternoon when it’s less crowded and bigger groups have gone. The sunlight at this time of day is especially picturesque. September or October is the perfect time to visit. It’s still nice and warm but not too hot for children. 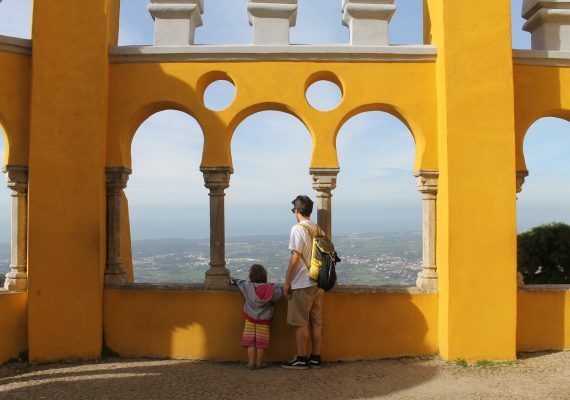 Visiting Lisbon with kids? 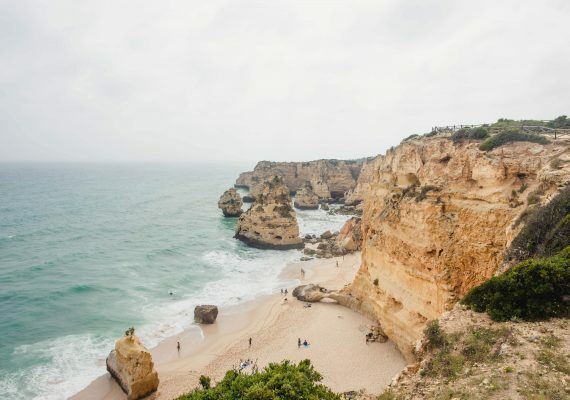 This mini-adventure in Lisbon combines some must-see sights with plenty of downtime for you and your kids. 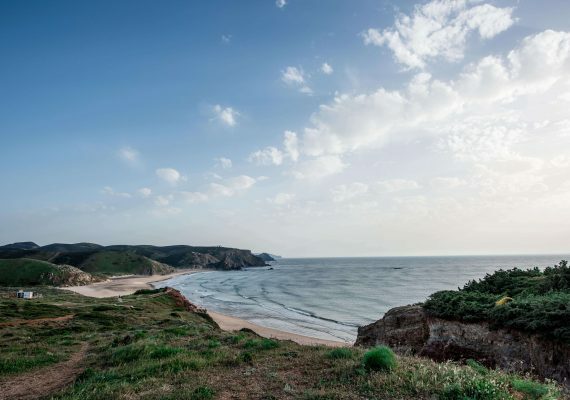 The city is very crowded, but this itinerary strikes a nice balance between active and rest time. 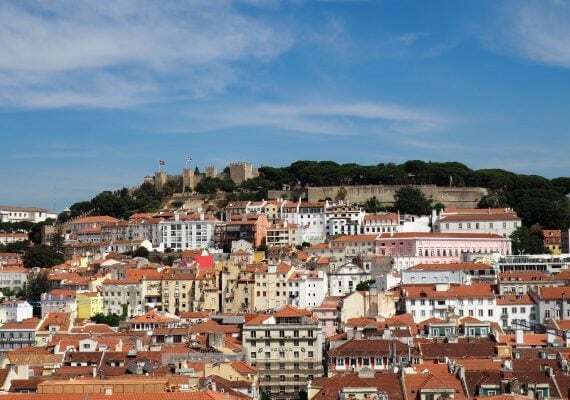 Parents will appreciate the gorgeous views and relaxing cocktails, while kids will love running around Castelo de São Jorge and exploring this lovely city. This elevator was built in 1902 and is part of the public transport system. The ride up doesn’t take long but is something you should experience. The view from the top is amazing, and you can walk through Bairro Alto (Upper District) and see the beautiful Convento do Carmo. DIRECTIONS While walking around the city, you will easily spot this 45-meter-high (147 ft) steel elevator. Just follow the Rua Aurea, which is about a 5-minute walk from the Rossio metro station. TIP There’s no need to be afraid of standing in line for hours! We had only been waiting a couple of minutes when an employee spotted us and allowed us to skip to the front of the line. We found the locals to be very friendly and accommodating. If you’re traveling with kids, just ask! Why not have a drink with a view in the afternoon—you are on vacation! This bar/restaurant is divided into two different areas: a downstairs lounge for cocktails and an upstairs restaurant serving light meals. We enjoyed a nice glass of Vinho Verde and a gin and tonic made with a local spirits, while our son loved playing in the grass and on the colorful lounge chairs. DIRECTIONS When you walk across the bridge from the Elevador de Santa Justa, you will see an unfinished church. Simply exit the bridge and you will see a terrace with a nice open-air bar. The Castelo de São Jorge offers an amazing view of the river Tejo and the city of Lisbon. We decided to go there in the afternoon and, rather than go inside the castle, simply enjoyed walking around in the warm sunlight. We did not buy tickets in advance but did not have to wait very long—maybe 5 minutes. DIRECTIONS You can take the tram (Miradouro Santa Luzia, line 28), the bus (Castelo, line 37), or a tuk-tuk. We decided to take tuk-tuk (€10), which was really fun for both us and our son!